Chrome OS, Chromebooks, and Chrome Browser provide secure access to authorized apps, legacy software, and other resources you need to get the job done. Enjoy peace of mind — in the cloud. Learn how Chrome OS protects your employees and data from security breaches. 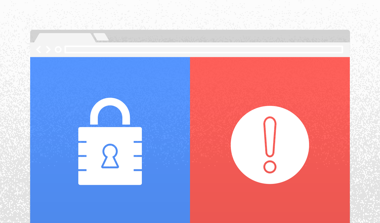 Learn how Chrome Browser protects your users from malware and phishing attacks. Learn how Chrome Enterprise license simplifies your IT management with granular controls. Encryption keys are stored on the hardware security module located on every Chromebook. Verified boot detects when the OS has been tampered with and the firmware will attempt to boot up an alternate copy. An OS encrypted at the data and user level boosts productivity with security updates that happen in the background. Safe Browsing deters users from visiting malicious webpages, while sandboxing isolates sites within tabs to protect accessible areas. Google Play inspects billions of apps for malicious threats daily to keep users safe. Prevent unauthorized access and alert users to potential threats. Detect malware and avoid tampering using verified boot. Encode data with per-user data encryption capabilities. Wipe data from any device after a session with ephemeral mode. Alert users to risks and prevent visits to infected sites with Safe Browsing. Isolate user sessions to contain potential threats with user sandboxing. Flag malicious apps with Google Play Protect before they endanger devices. 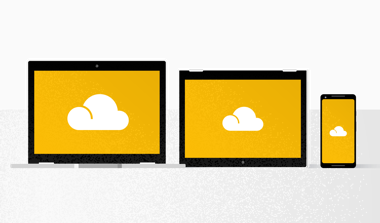 Manage users’ cloud activity across all devices. Provision and monitor devices from any location. Ensure compliance with all employees from day one. Stop unauthorized access if a device is lost or stolen with remote lock. Curate your own app store for employees to use. Fine-tune 300+ security policies down to the user level. Whitelist extensions and avoid potentially harmful applications. Stop emerging threats without interrupting workflow. Secure vulnerabilities before they happen with automatic patching. Stay current with security updates released every six weeks. Fix bugs regularly with seamless deployments. Avoid downtime created by forced updates. Update users and devices with the latest firmware instantly. Enable productivity during data migrations. Chrome Enterprise license offers these features and more. Find out how Chrome Enterprise security keeps your business safe in the cloud. Explore how Chrome Browser provides a secure connection to the cloud. 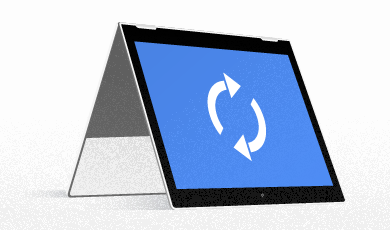 Learn more about Chrome OS features in this on-demand webinar. Watch this NEXT'18 session and learn how Chrome Enterprise can help you secure your endpoints.